Oh No! 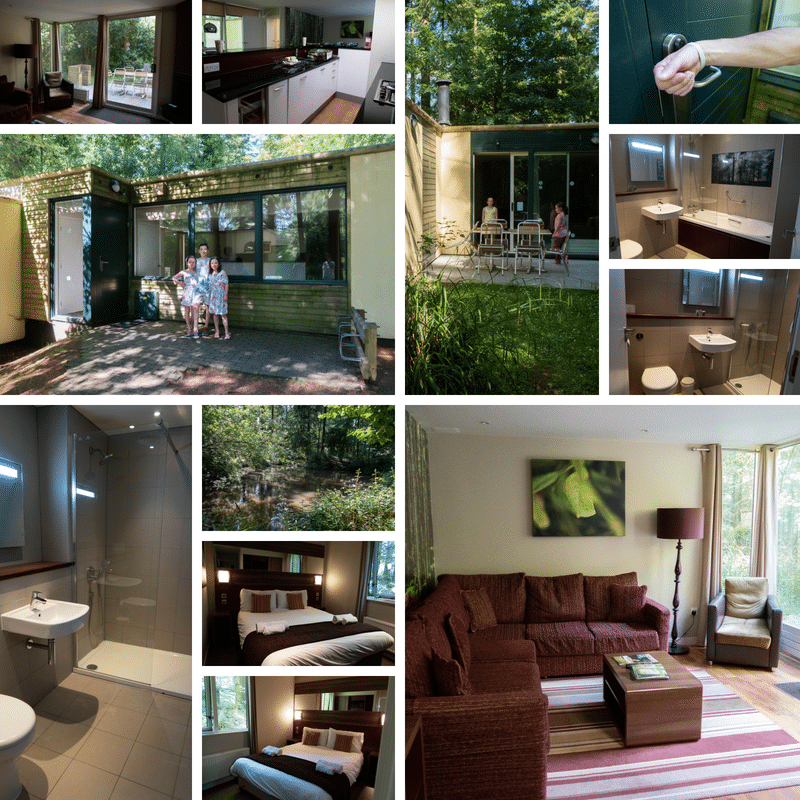 We’ve been bitten by the Center Parcs bug! 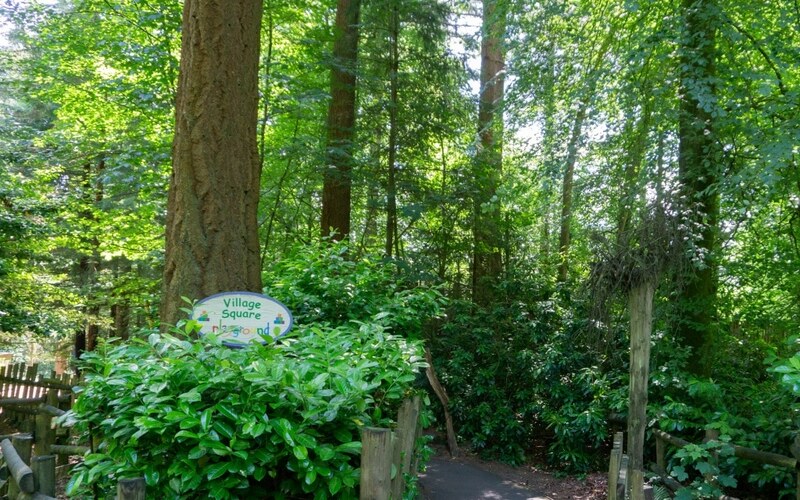 Longleat Center Parcs, here we come! 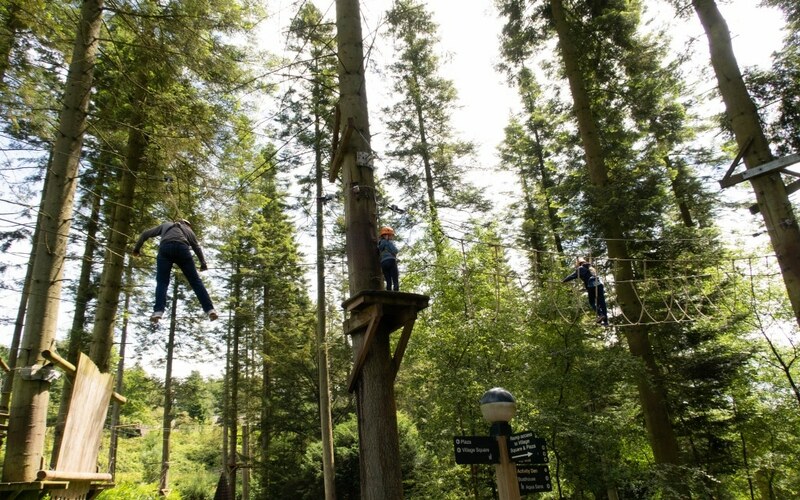 After visiting Center Parcs Sherwood Forest in August 2015 the kids have always wanted to go back again. 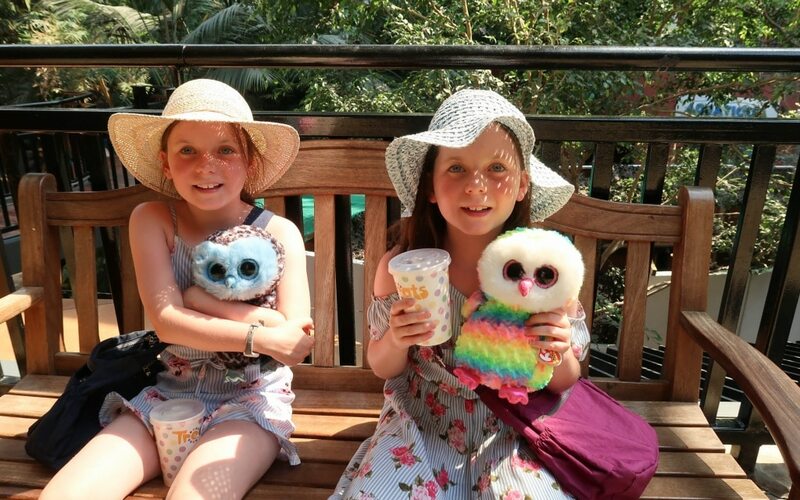 They loved it there so much, stating it was their best holiday ever, and still watch the Sherwood Forest Center Parcs vlog I made. So when we asked them what shall we do for a holiday this year they straight away said a holiday to Center Parcs! 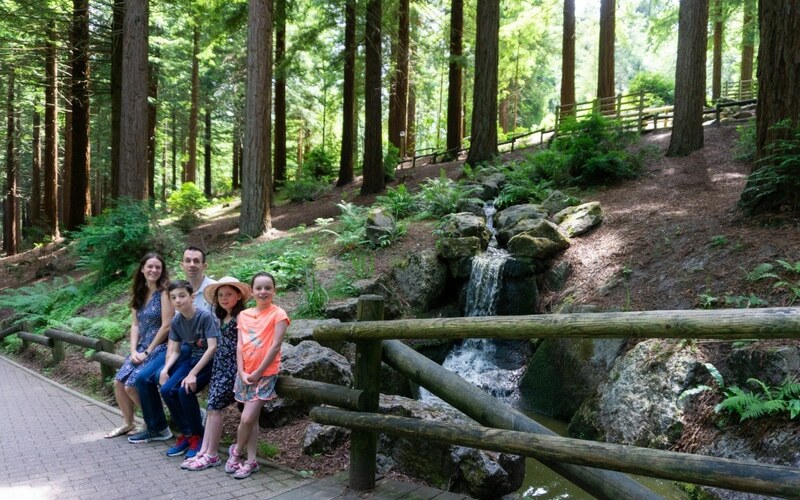 There is no hiding the fact that it is expensive for the school holidays to visit Center Parcs so we started to look at weekends and found an inset day that worked for us. So we booked up a 3 bed Executive Lodge that ticked all of our boxes for location and facilities. 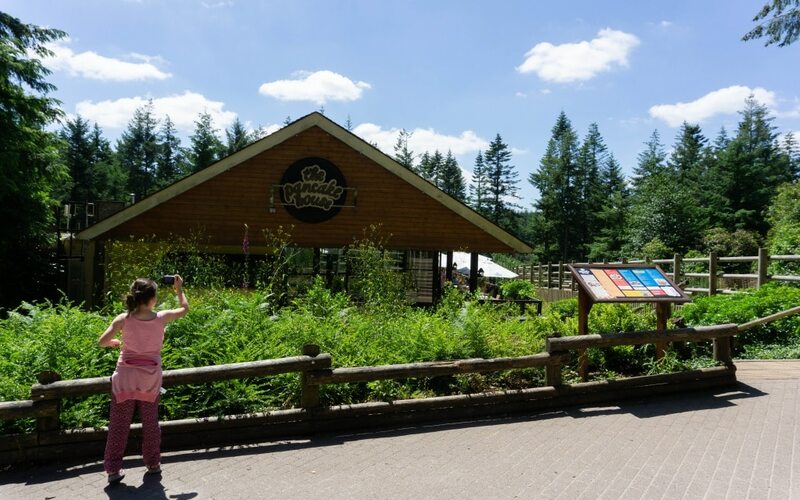 As we visited Sherwood Forest last time and blogged/vlogged about that, I thought I would put together a review and let you know what we all got up to at Longleat Center Parcs. Short version……we loved it! If you love videos then check out our video of the weekend. I love capturing things on video as I think it brings the moments alive and shows the little moments of excitement in the kids. Good excuse to grab a cuppa too! 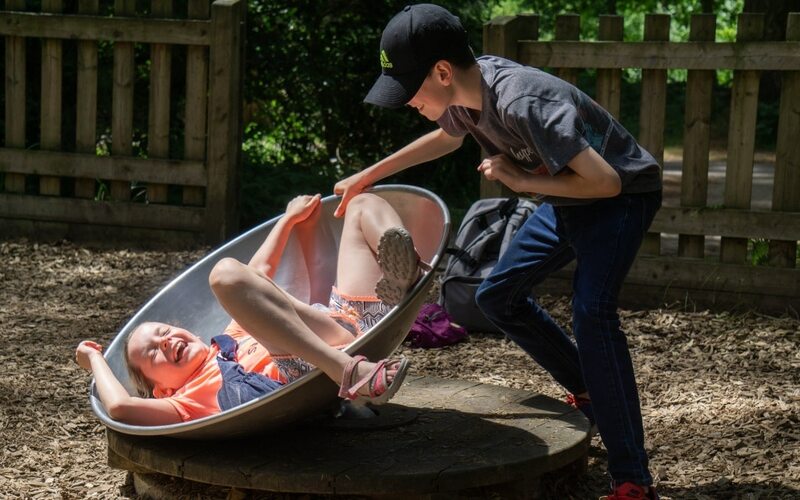 When booking your lodge with Center Parcs you have a range of accommodation to pick from and have access to the map with every lodge numbered and colour coded to help you choose the location. We picked a 3 bedroom Executive Lodge. This has 3 bedrooms all with en-suites, 2 showers and 1 hydrobath. The reason why we picked an executive one was because of the location. We love having a lodge with a pond/lake at the back. Not a problem for us as we have older kids though. However, it means we have lots of different animals coming to the door! 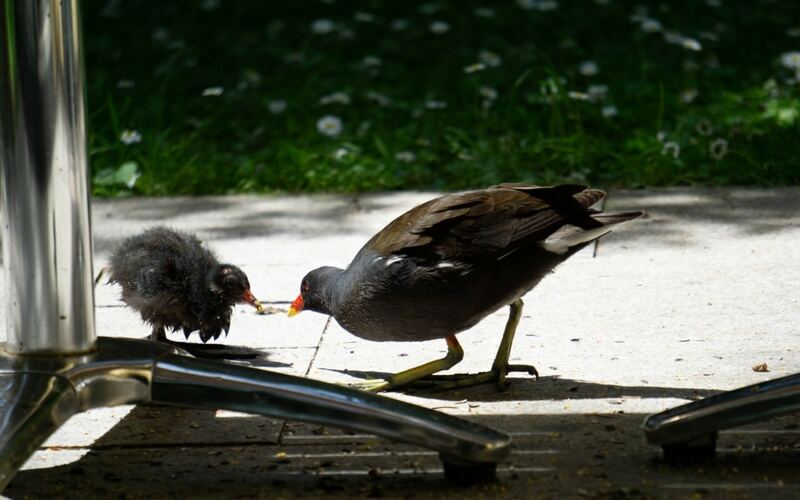 We had a family of ducks, Moorhens and babies. It’s so nice for the kids to watch, but do remember to bring along LOTS of food for the animals. If you forget to bring any you are still able to purchase it from the Center Parcs supermarket. 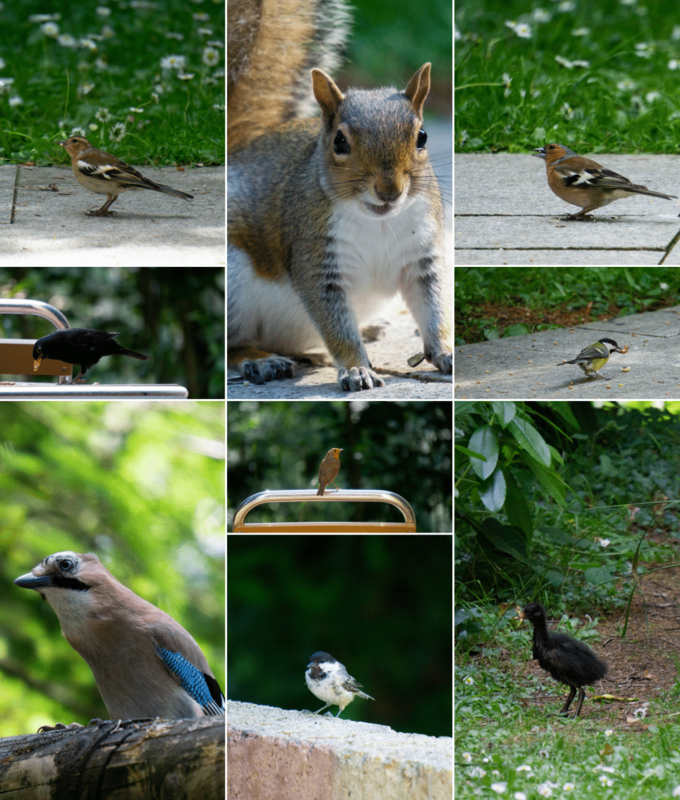 We had peanuts for the squirrels, bird seed and duck feed. They loved it and Mummy duck even would ask for more when it ran out! Along with the ducks we had so many birds, we had to use the RSPB bird identifier to name some as we had never seen them before! Having the patio with a BBQ right outside the lounge was brilliant. We could sit on the sofa with the patio doors open and watch all the wildlife, it really is so relaxing. 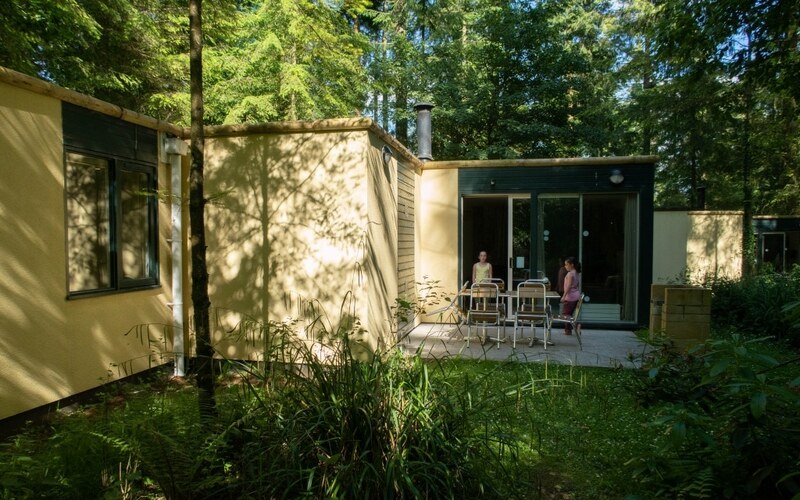 There maybe lots of lodges dotted around Longleat Center Parcs but it doesn’t feel like that all. 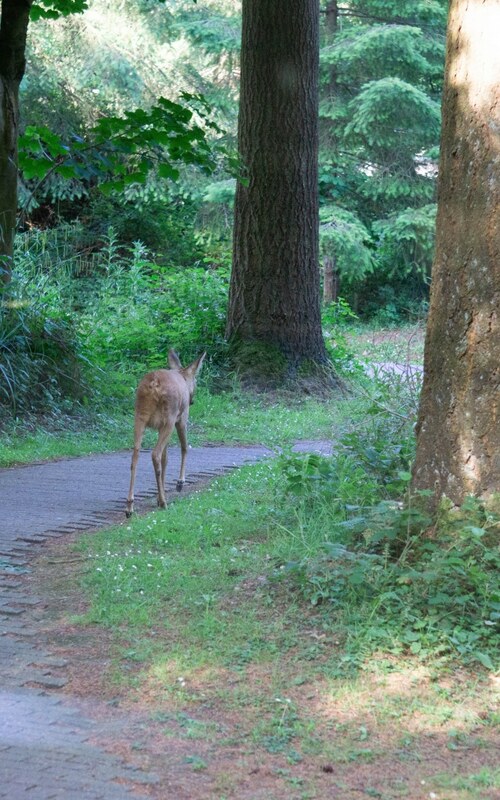 We even had a deer by the pond which then came onto the patio and walked down the front path! The kids couldn’t believe their eyes how close it was. Apart from the cooker taking ages to cook the dinner, we couldn’t complain about the accommodation at all. The beds are very comfy (and I’m fussy about that!) and the kitchen had useful utensils, plenty of cups and even supplied some tea and coffee for when you arrived. The bonus of the executive lodge is daily maid service! They come in and give it a quick vacuum, load dishwasher up, make beds and tidy up, well you are on holiday after all! 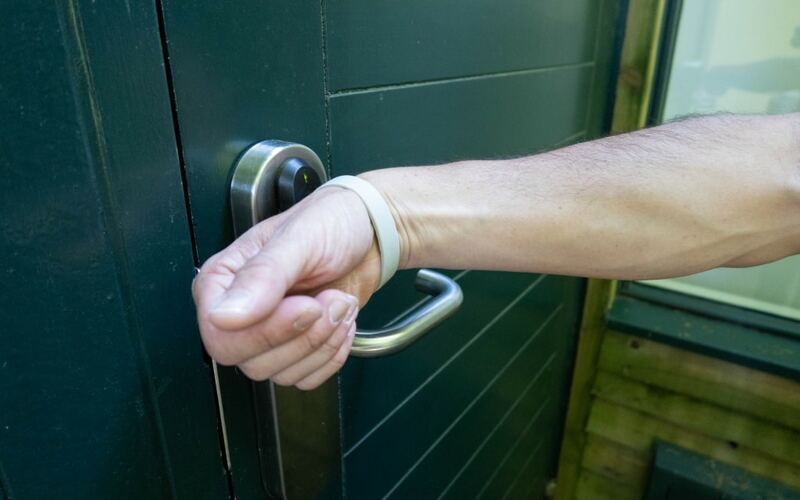 We also were given a lodge key wrist band for the house. It was water proof so easily wearable in the swimming pool and also locked your lockers in the pool too. Brilliant idea! 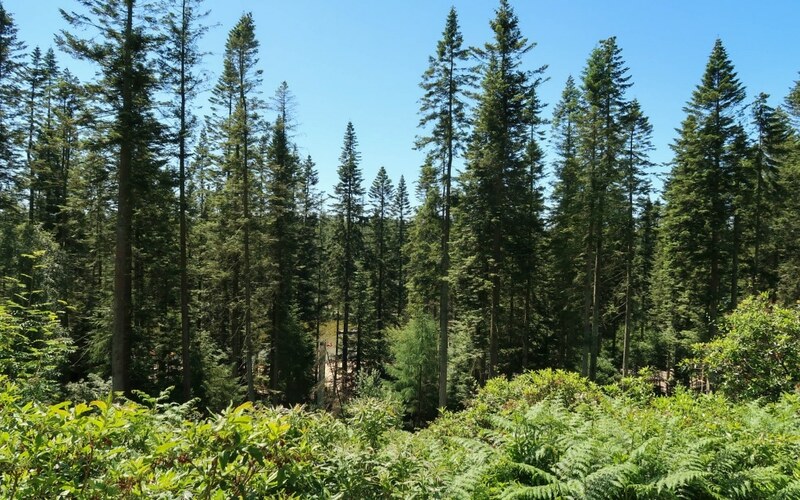 Sherwood Forest Center Parcs is very flat and quite open. 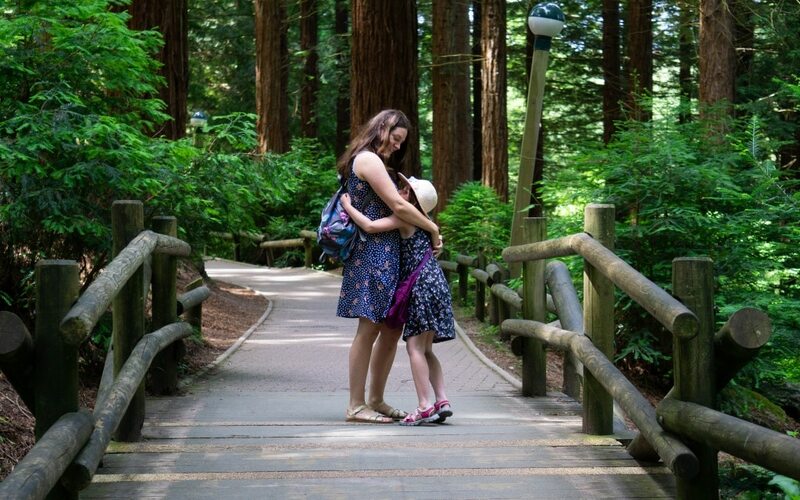 With a lot of paths to walk or cycle, it is very easy to explore. 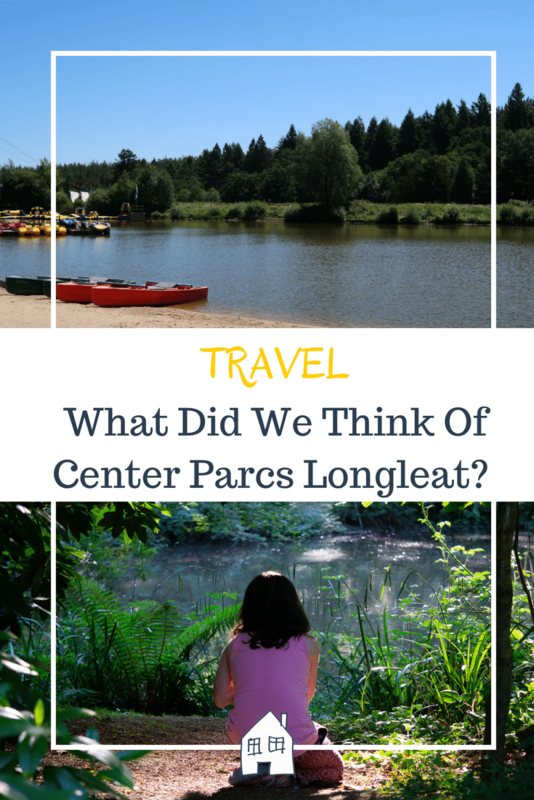 Straight away we noticed how different Center Parcs Longleat is for that. It isn’t flat, with lots of hills and steps. But this makes it really pretty, it feels like it is really set in the woods in the middle of nowhere! I really loved this setting, it had such a relaxing atmosphere and I could feel myself switching off as soon as we arrived. Center Parcs kind of does that to you, even though you have so much to do whilst your there. 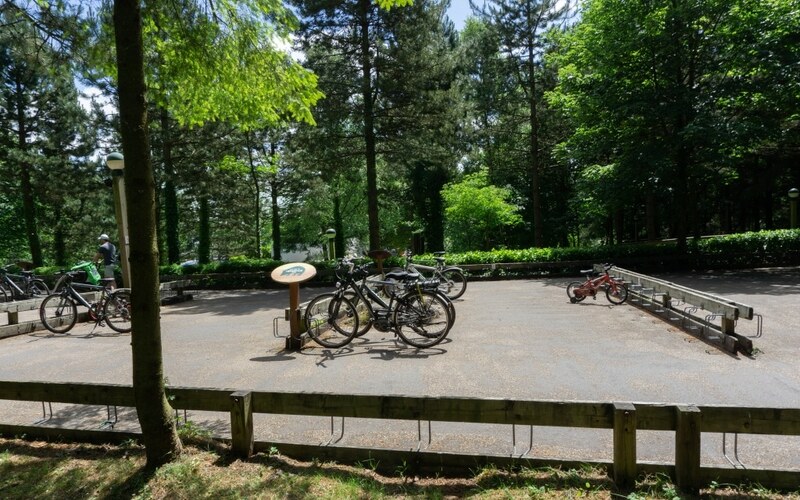 There are so many bike parking areas dotted around the park and in the main areas that everyone stops off, and where there is steps there are ramped areas for you to cycle up and down easily. 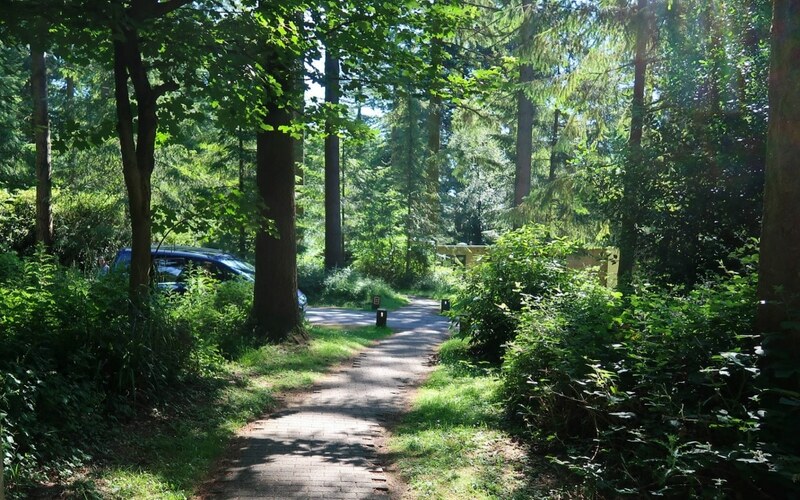 At Center Parcs Longleat there is also a landtrain to use. This was brilliant for us as our lodge was out in Fir which was the furthest away but also extremely peaceful. We would use this to get us over to the swimming pool or when getting home later on in the evening when everyone was tired. But do note on Fridays and Mondays it doesn’t run until 6pm due to change over day and the roads aren’t clear enough for it to get through. 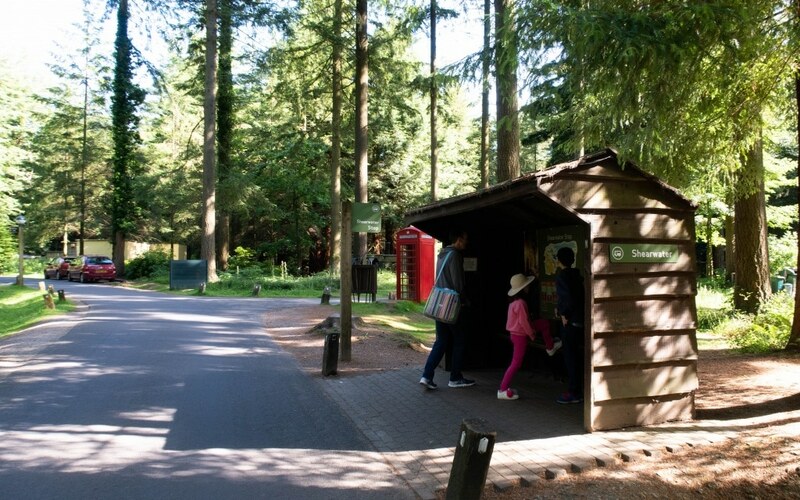 If you don’t know the rules of Center Parcs you have to leave your car in the main car park after unloading on the day of arrival, then collect on the morning when you leave. This is such a lovely idea as it leaves the road safe and clear for cyclists and children running around. It was sad to see people ignoring this and having to have notes put on their cars the next morning. They’re only doing this to make it a nicer place for us all. 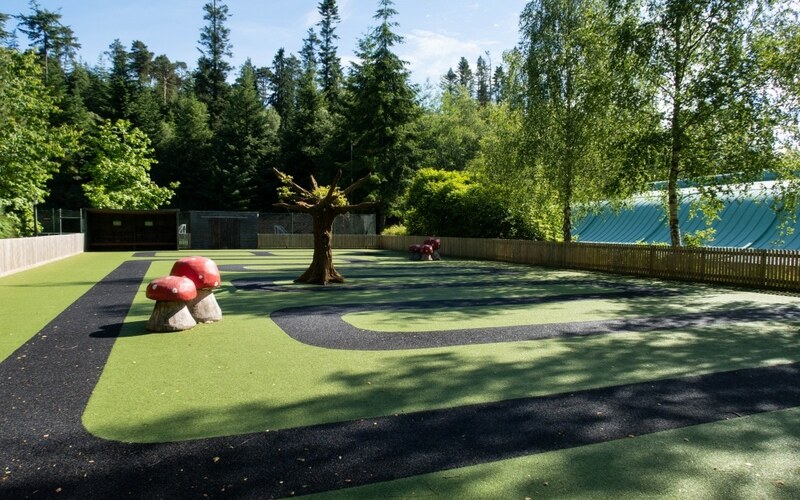 Dotted around Center Parcs Longleat is parks for the children to play in. On Sunday we decided to track a few of them down! The kids loved them all and happily played in these whilst we could sit down and chill for a bit! 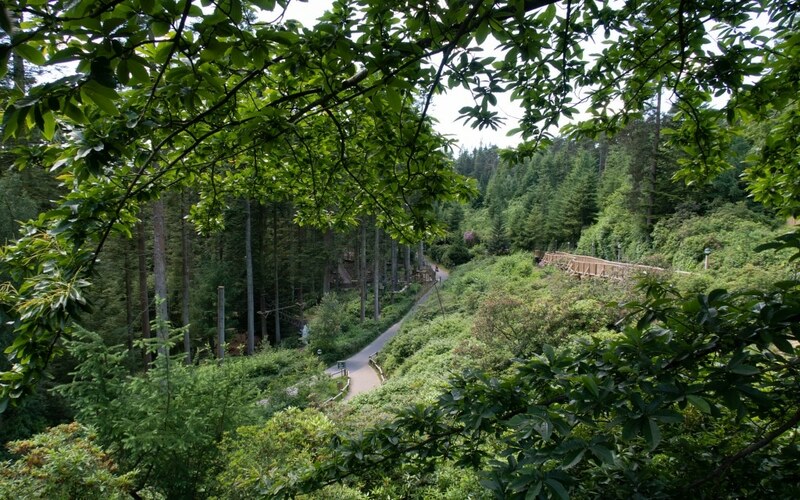 We headed down Cascade Way which is a zig zag path which runs from the Fir area and brings you out near the Sports Plaza, Boathouse and beach. 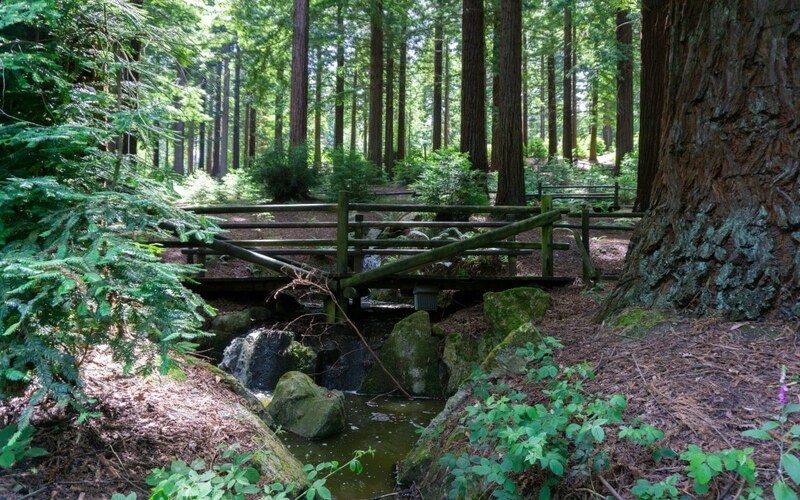 This is such a pretty path, with a waterfall running down the hill. We tried visiting the bird hide which was very disappointing. There was no birds or wildlife in the pond! 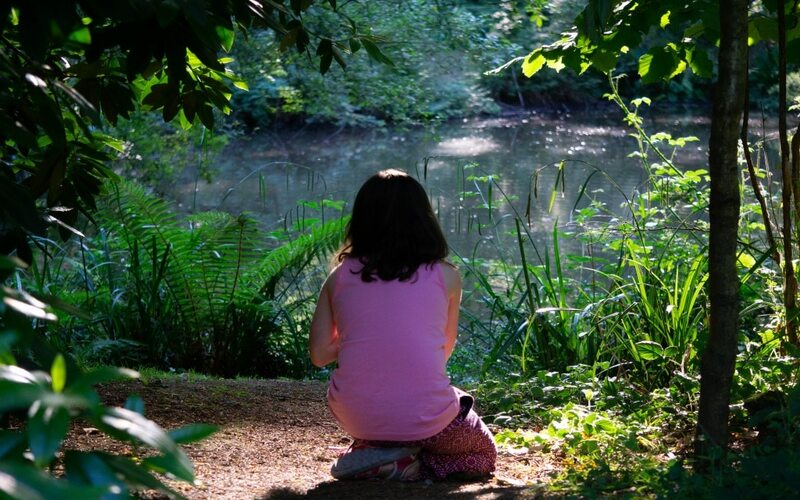 When visiting Sherwood Forest bird hide they had feeders which encouraged lots and lots of wildlife and was a perfect place to sit and watch them up close. 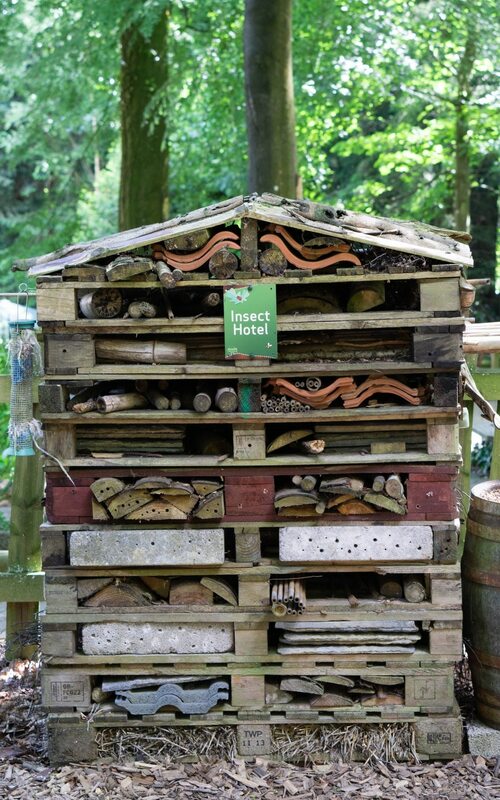 They did have a large nature area though with bug hotels and bird boxes which was a lovely idea. 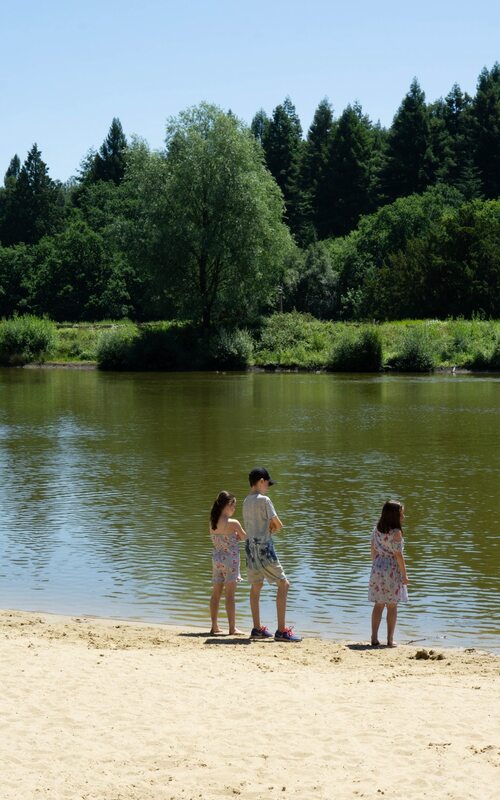 What I love about Center Parcs is how much you can tailor your holiday to suit your family. You can either just relax, walk around in the woods, cycle, swim or fill your time with all the different activities you can do. The kids lovely Great Auntie wanted to treat them and she said they could book one activity each, whatever one they wanted! 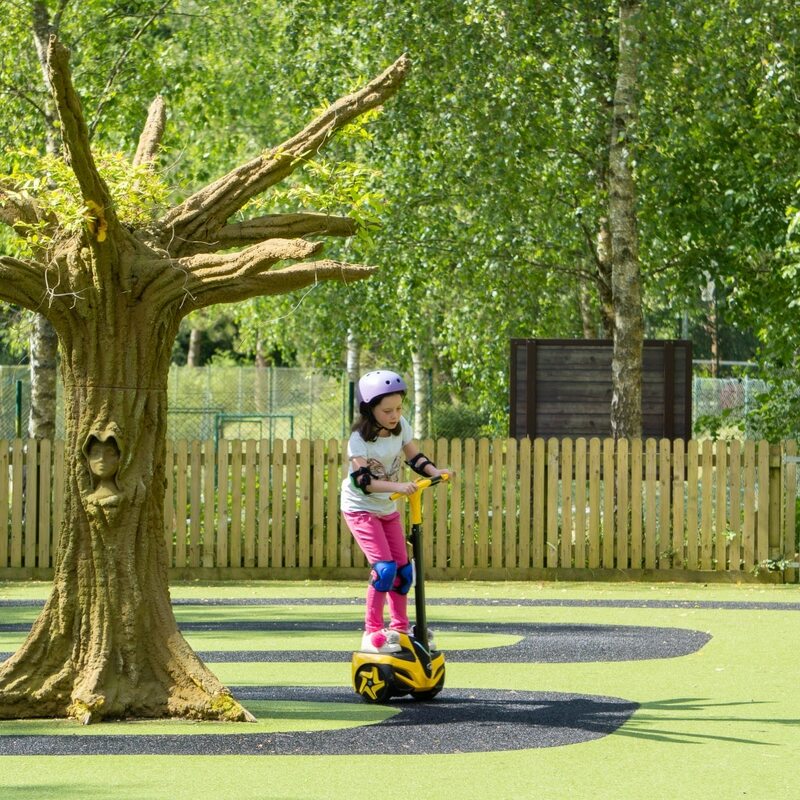 Lily picked the Woodland Wheelers which is a mini Segway session. 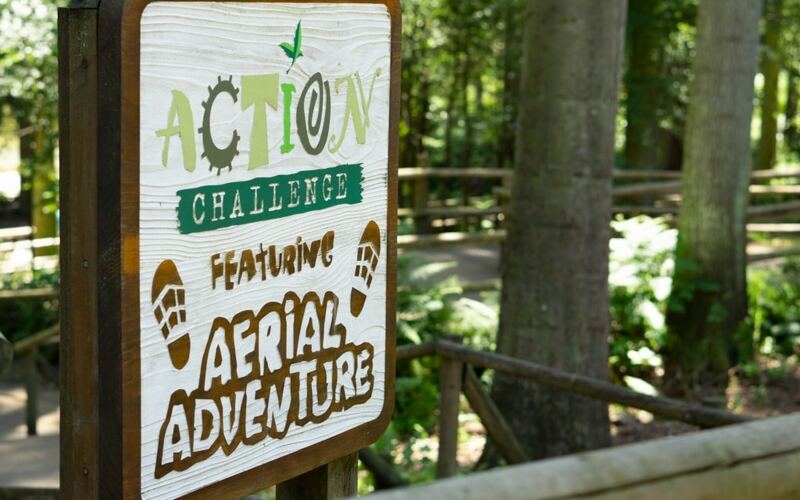 Me and Kev did the adult sized ones at Sherwood Forest and it was great fun! So I knew she would love it, and she did. It was a 30 minute session for £11.25 and she was speeding around by the end! The lady was brilliant with the children and made the experience very enjoyable for them all, she even remembered all their names after them telling her only once! 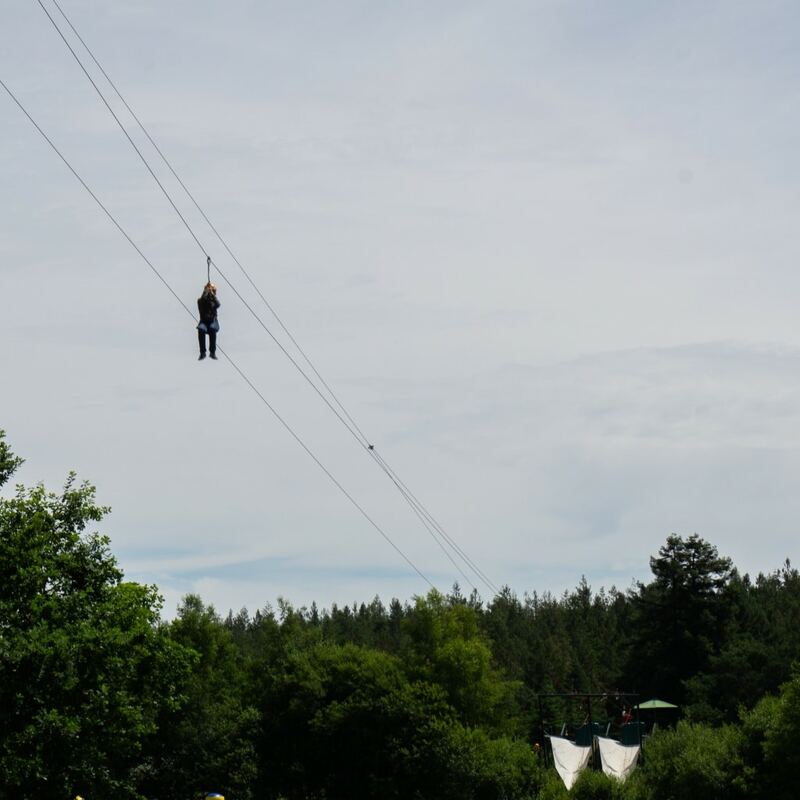 Next up was Tyler and Sofias choice, they decided to go for the Aerial Adventure trail through the trees and finishing up with a 200 metre zip wire over the lake! 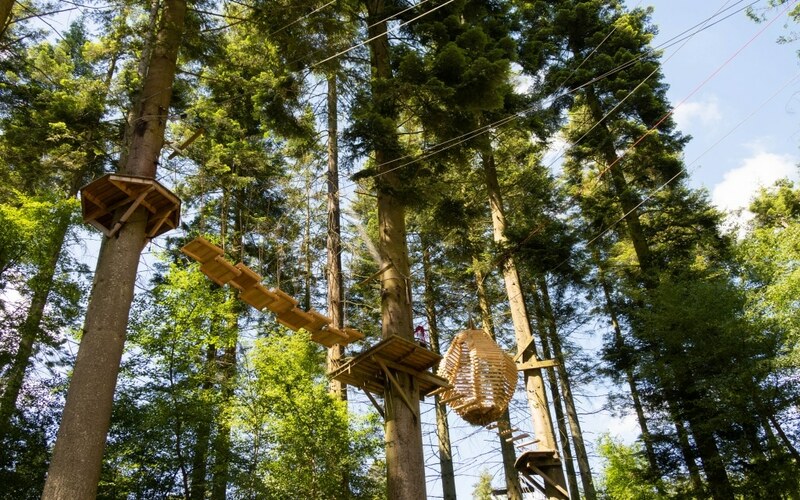 Priced at about £33 but you could extend the tree top trail a bit longer for extra. However mine haven’t done a big one like this before and it was a perfect length for them. There was certain parts of the trail that were tricky than others. Sofia has just turned nine years old and she could just about reach all the wires but it pretty brave too! Kev also did this with them as well for a bit of encouragement along the way! The staff were brilliant as well, encouraged the kids and helped out if needed. Once they reached the final platform it was time to get down! 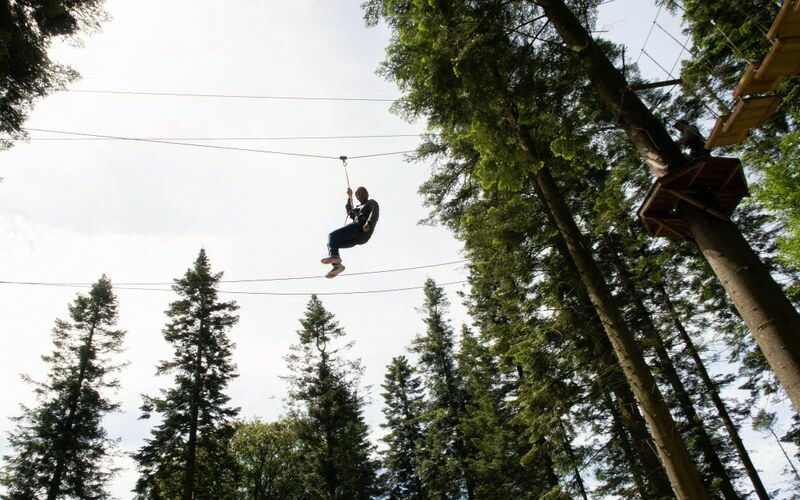 They all loved this bit, flying 200 metres over the lake! It comes to quite a abrupt stop though so be aware! It lasted about 1 hour 20 minutes so not over quickly and a brilliant activity to do. 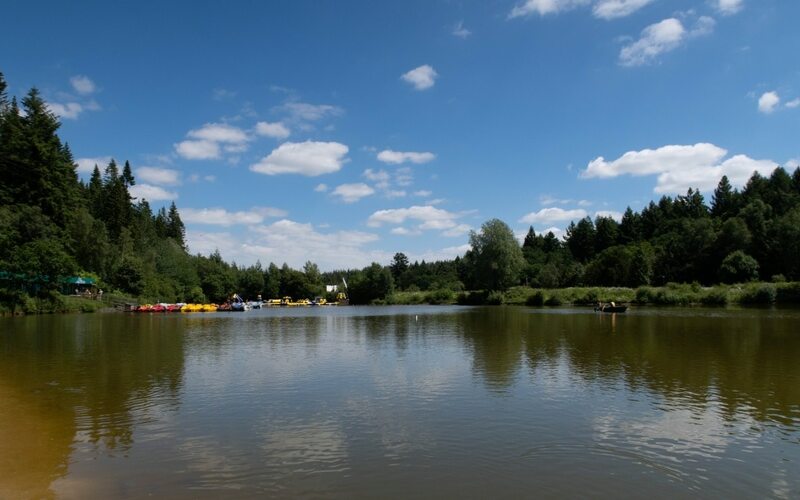 This is one of the main attractions of Center Parcs, the sub-tropical swimming pool. 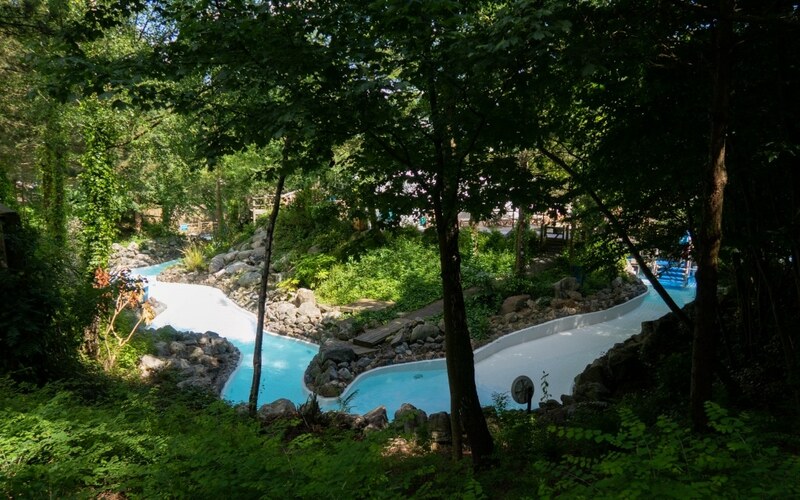 Its a lovely warm pool with flumes, drop slides, rapids, cold plunge, outdoor pool, wave machines, play areas, hot tubs, lazy river and the new big flumes! The children could have easily spent all day in here and with the temperature so warm they wouldn’t have been getting out because they were cold! It also has a cafe and seating to sit out of the pool too. 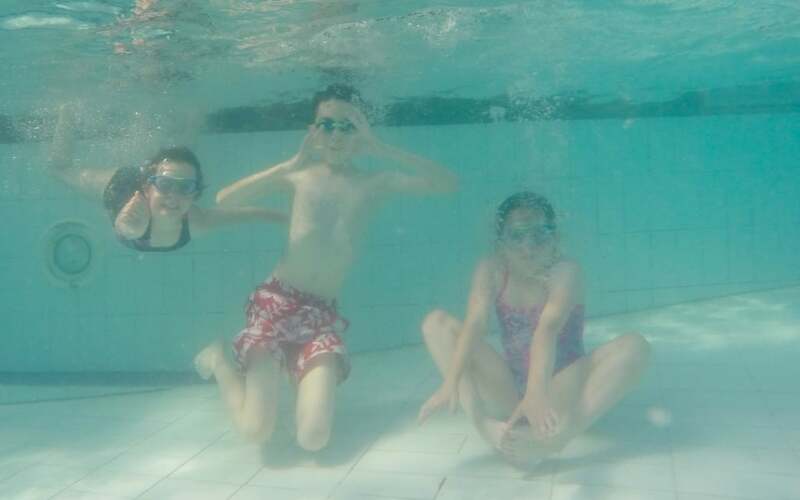 I got some footage on the vlog of the pool if you fancy seeing more of it. 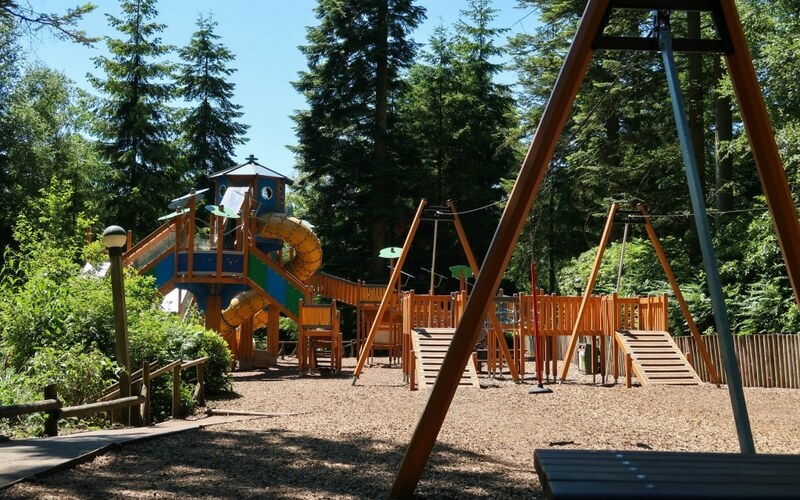 I was so impressed by the Sports Plaza at Center Parcs Longleat, it was huge and so many great things to do. 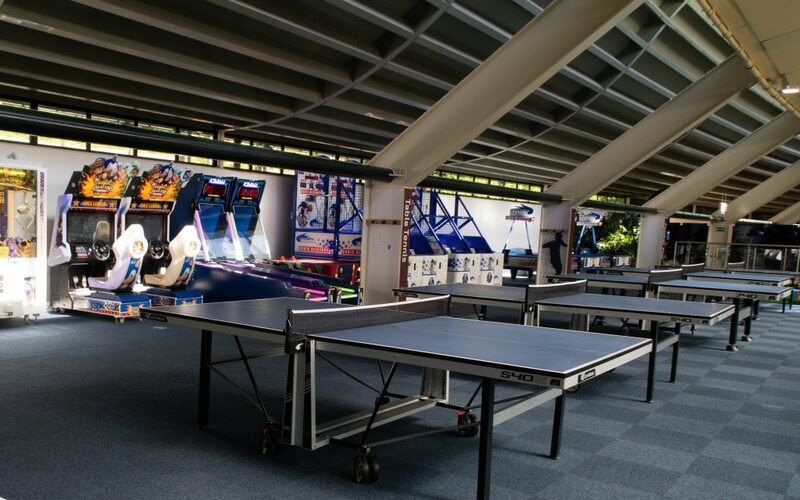 With the courts to have a game of tennis, badminton or tables for table tennis. Bowling, climbing, snooker and the sports bar. Plus so more! These do have to be booked and paid for to join in with these things though. You don’t have to be a fitness buff either! There is so many people playing, families, couples and kids. All just having fun. 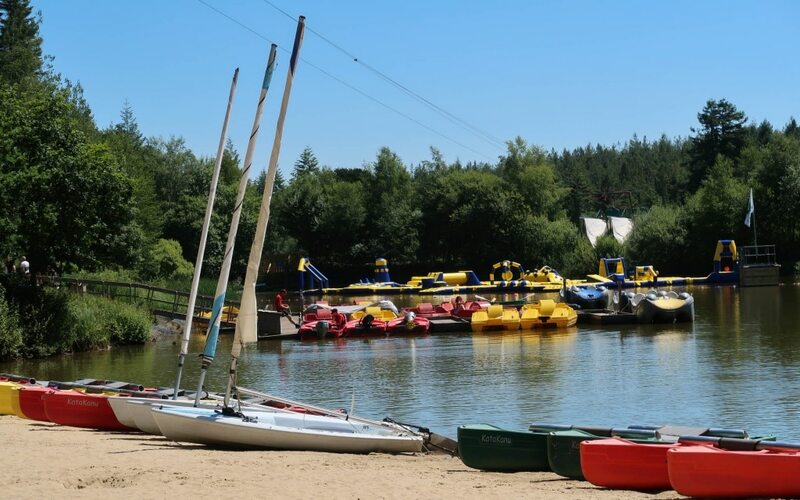 Center Parcs have a beach area, the boathouse is here too which is where you access your water based activities. 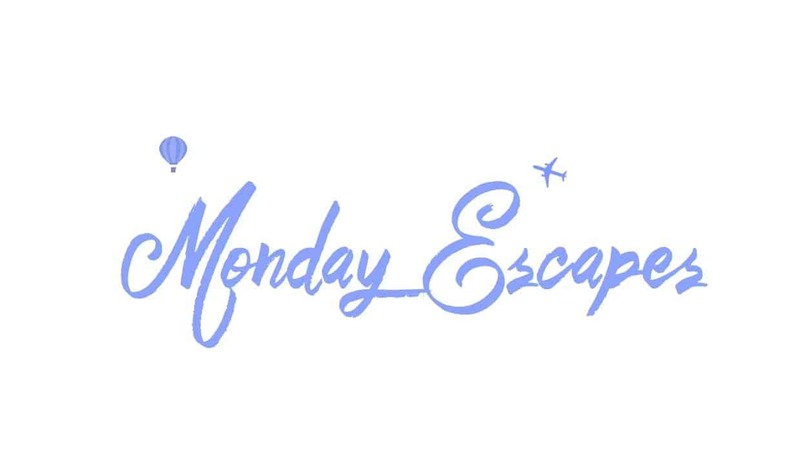 Pedalos, electric boats, paddle boarding, kayaking and lots more. It’s such a peaceful lake too and such pretty place to sit and let the kids play. Center Parcs Longleat have various places to eat but we don’t tend to eat out when were away often due to keeping the costs down. 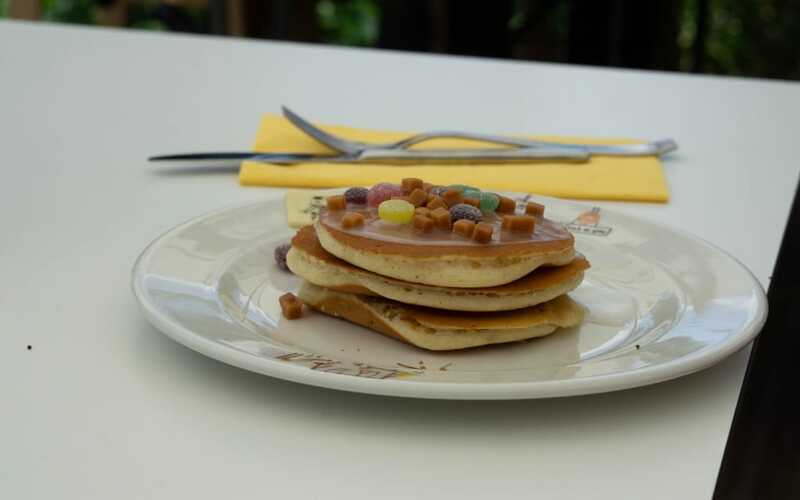 However, we couldn’t resist a trip to the pancake house! 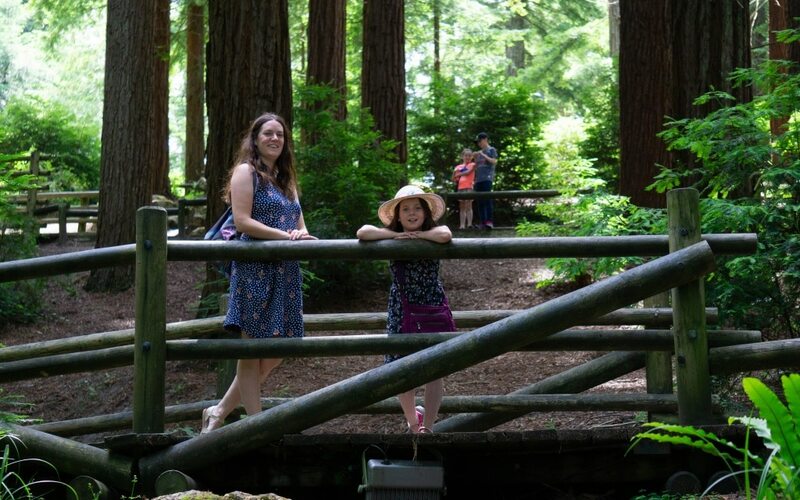 It was a amazing setting too, set up high in the trees over looking the beach area and we even could sit outside in the sunshine on the veranda. You can also have a takeaway delivered to your lodge! The Dine In For A Great Night In takeaway or delivery service was brilliant. 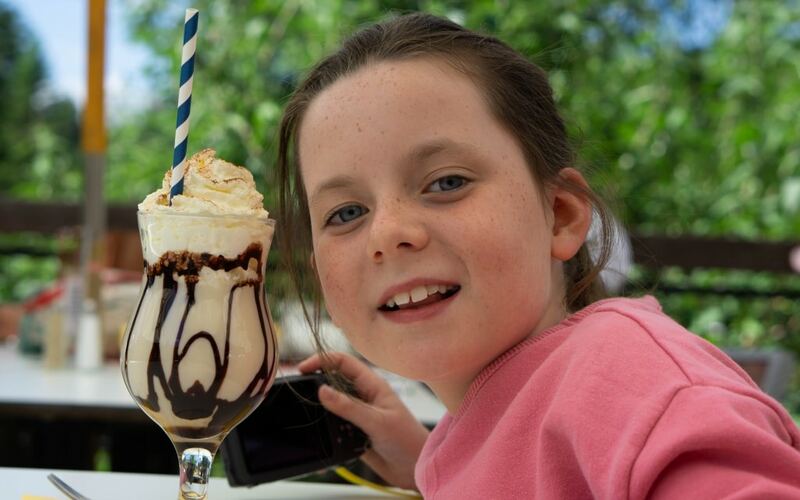 There is a menu in the lodge and you can pick from a range of foods that would suit everyone’s tastes. Call up with your order and they will deliver it for a charge, or you collect from them. I forget to get a picture as I was so hungry by this point! The lady was lovely, she bought it in and placed it on the table for us, chatting away to us all. The food was great too! 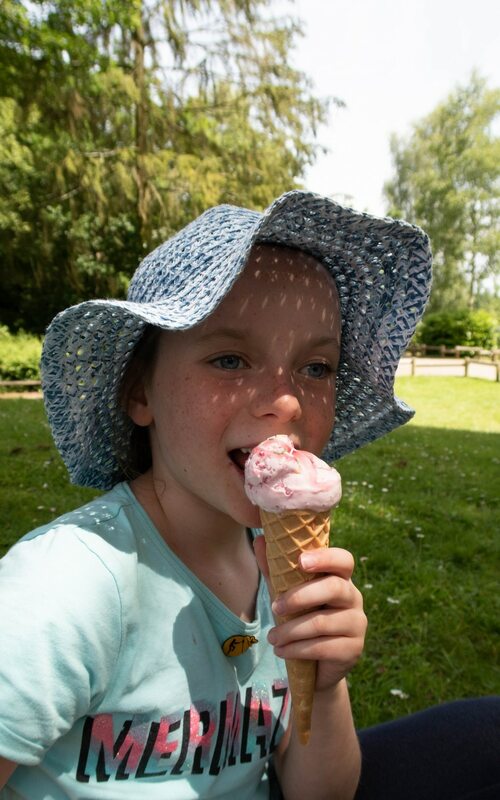 Of course, there is some lovely ice cream stalls too! There is a onsite supermarket at Center Parcs, with all your useful food. Convenience food, fruit, bakery and meat for BBQ’s. We picked up what we needed for our dinners and lunches, just check the times for closing as it shut at 4pm on Sunday and we missed getting that days dinner. That’s why we had a takeaway that night!! 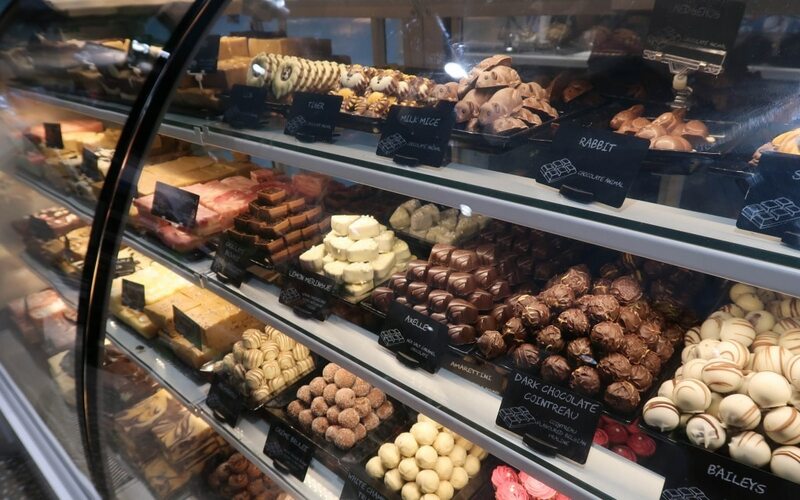 Along with Center Parcs supermarket, there is a selection of shops in the village square. 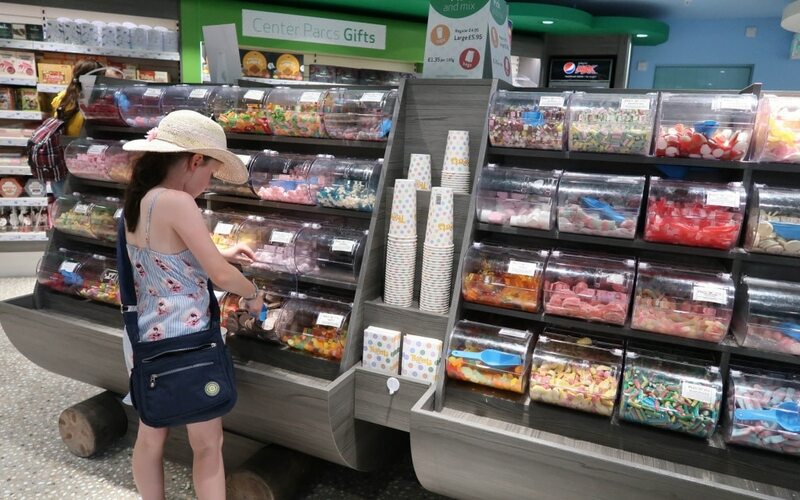 My kids LOVE the sweet shop for the pick n mix and we always let them get a large one on the first day to last the holiday! They also had a little spending money too and went into the gift shop! They cannot resist a new teddy! 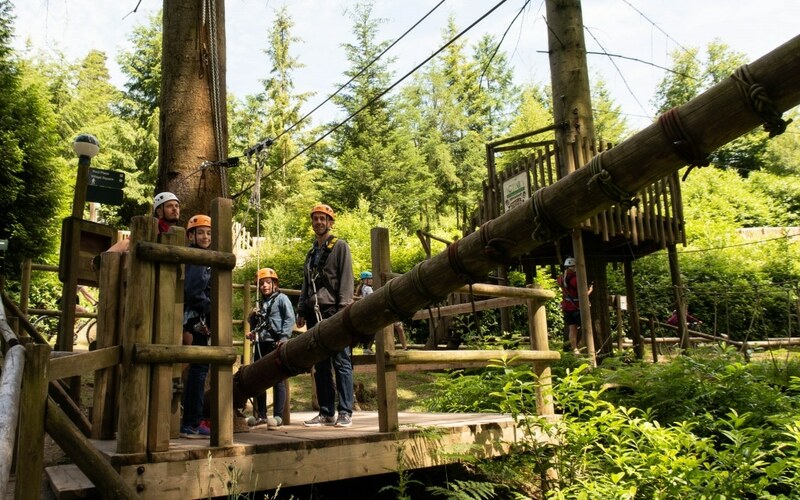 Yes, Center Parcs Longleat can be expensive if your looking for a holiday in the school holidays, but they really do know how to put on a family holiday and make it very special. 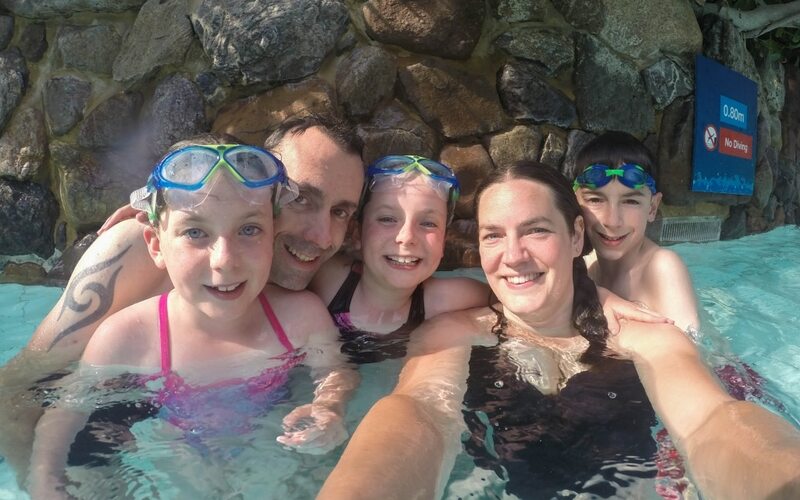 We have been well and truly bitten by the Center Parcs bug! *We paid for this ourselves, I wanted to share our experience with you. Thank you, I’m glad you think it looks good! We never get sunny holidays so we were so lucky! Managed to do so much and had the best time! 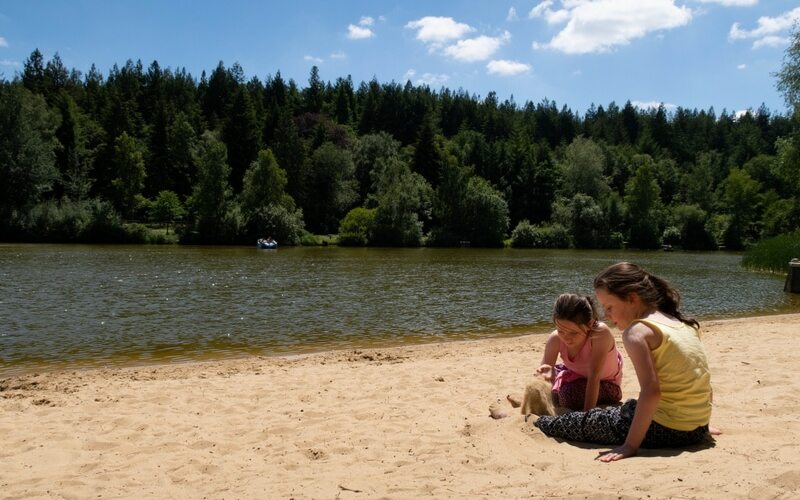 I have heard a lot of people saying they are going/have gone to Center parcs but not really saw the why they’d pay so much – but this post really shows it worth it. 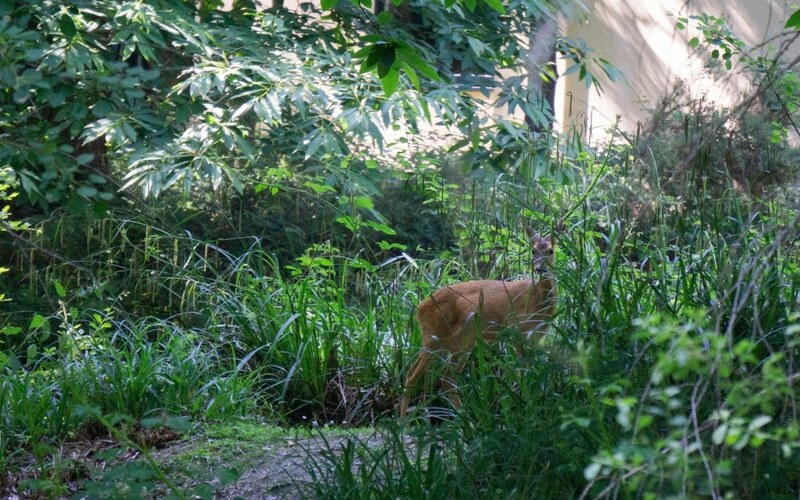 How cool to have deer coming up to the patio! I am glad I got that across in the post as it really isn’t until you go there that you realise why they do charge as much. It was cool having the deer come up, it shocked me!! So much to do! 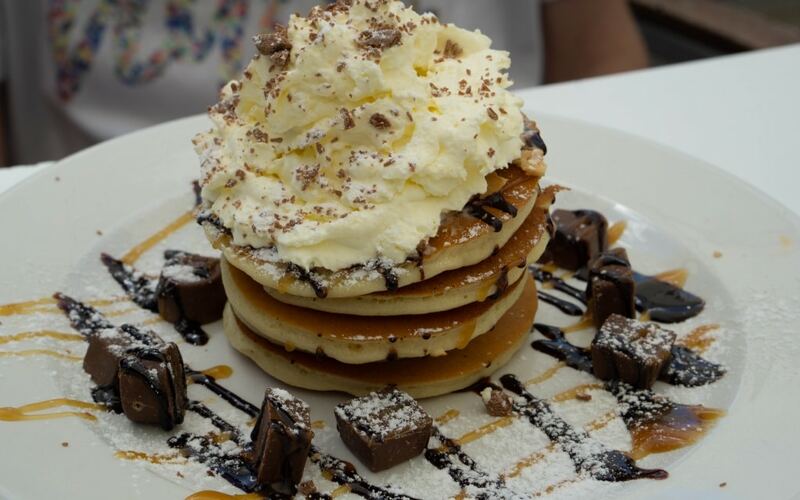 keeps the kids happy doesn’t it! Ah glad you love it too! The kids loved that so much, seeing the animals all day right up close! We have been so temped to try this in the past, I know my gang would have enjoyed it but it works out a silly price for 8 of us. I must say the facilities do look ideal for families and it looks spacious enough not to feel on top of each other. 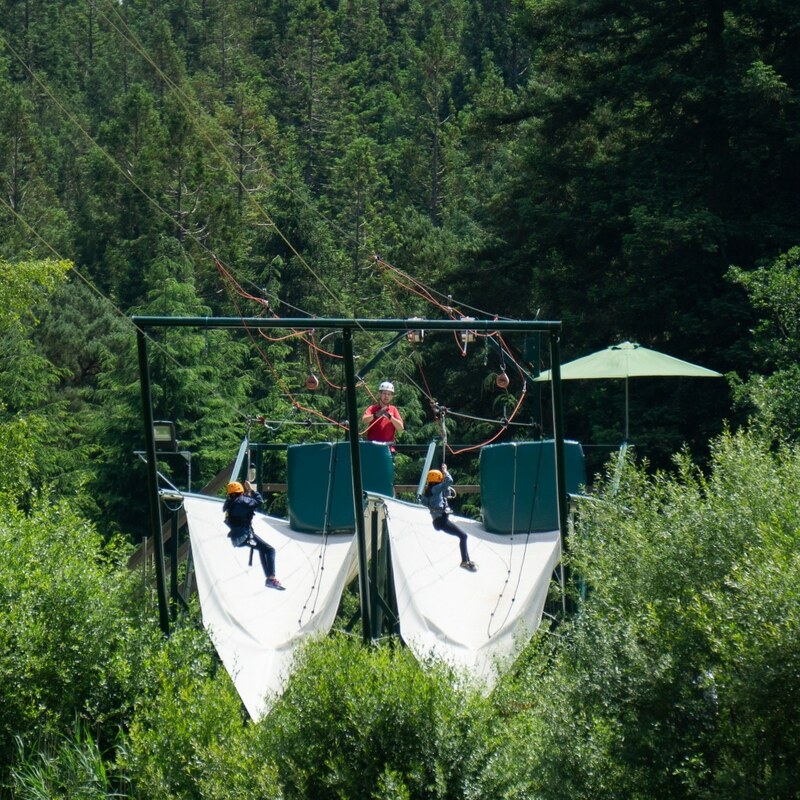 I really fancy the tree top adventure, we have done this in France a few times and loved it, I’d love to try it in the UK too. It does look like a perfect action holiday. I would love them to do bigger properties too, we would like to go with our friends but there is 9 of us in total. It is very good for families and they had a ball! Still to visit a Center Parc. I can see the appeal, I just wish there was one closer to us. My husband is keen to visit though, so it’s on the list! Oh yes keep it on the list! It’s well worth the trip, maybe combine with another holiday somewhere else?!!! 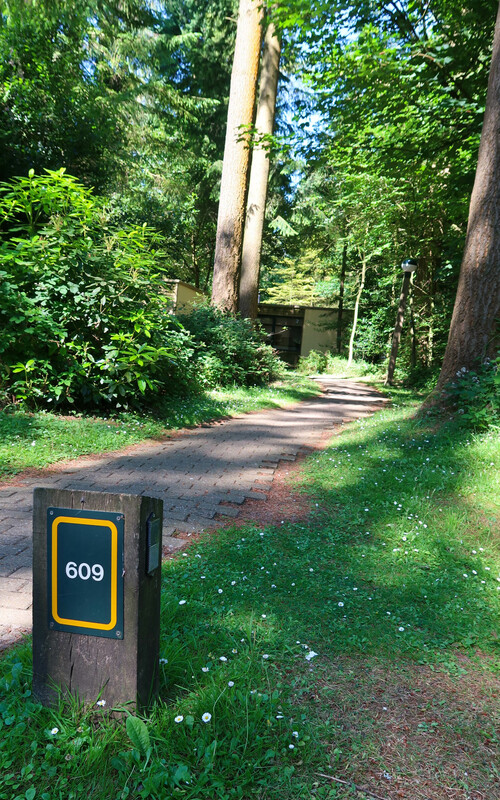 I have heard good things about center parcs and what’s there to do but we have not yet ventured there. Sounds like such a lovely break for the family and a great review. 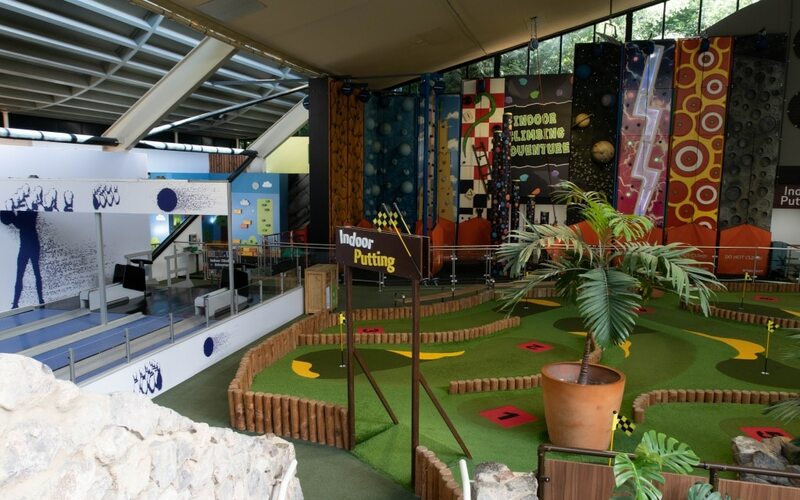 Thank you very much, you should make a visit it’s so much fun for kids and adults! What a beautiful looking place. I love the pictures here especially the one of the pool. Looks amazing. Oh dear, that’s not good to hear. 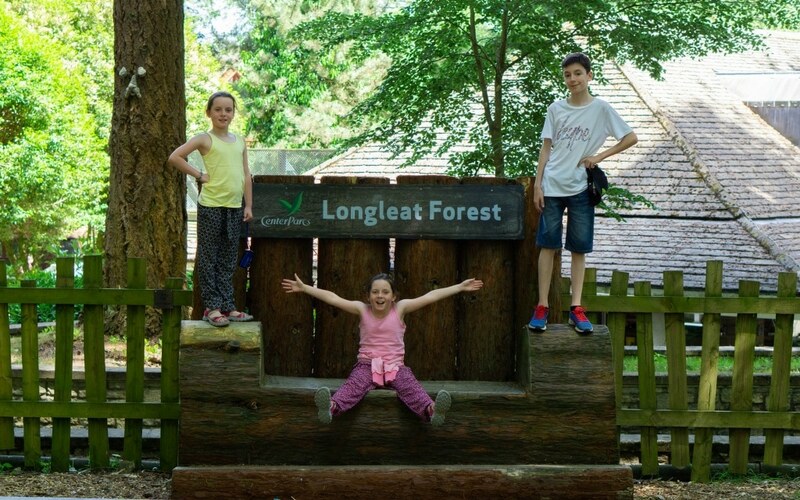 I can’t fault Longleat though so maybe it might restore your faith in Center Parcs!! It was a stunning weekend weather wise, I was so jealous of all the other people turning up on monday getting a boiling hot week there! The tree houses are on another level, some pretty posh people checking out of them on the Monday too!!! I bet you had a great time too! Ah thank you very much, they had a great time and so many lovely memories made. How lovely that you were able to see so many wildlife close up. We’ve enjoyed trips to Sherwood Forest and Woburn but not longeat yet. 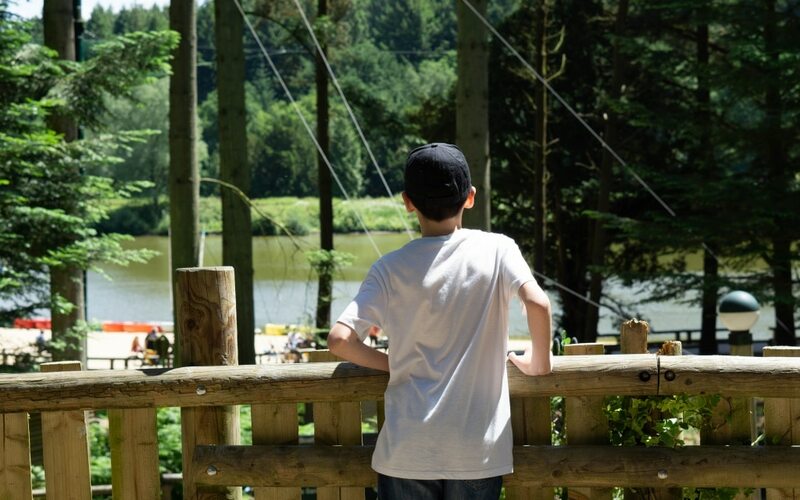 I do love the ethos of Center Parcs but really do find it so expensive in school holiday time, our tip about finding an inset day is a great idea though. That Centre Parcs sounds really good. We’ve never been to one but I think we’d really enjoy it. Sounds like you had great time. I think you would enjoy it, lots of fun! I’ve wanted to go to Longleat for a while. 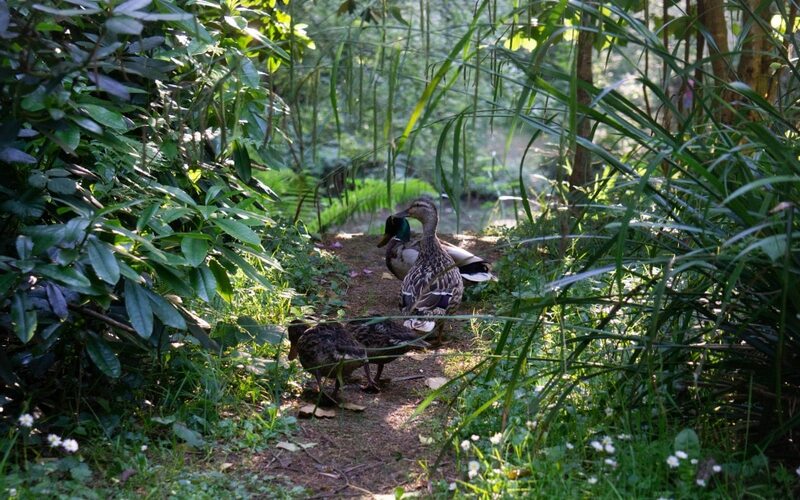 The accommodation looks excellent and I love your photos of the wildlife. It must be lovely to see the squirrels and the deer as well. So much for the kids to do as well! 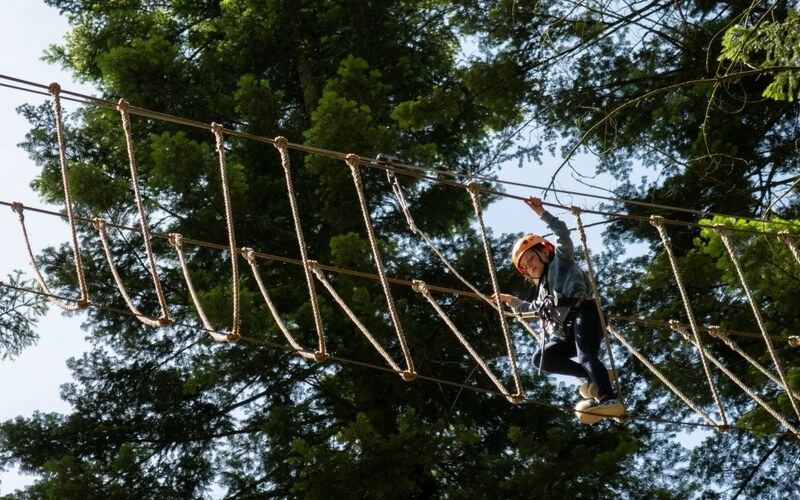 Thank you, we were really impressed by the Longleat one. The animals are brilliant!